Microsoft made a surprising announcement at the end of 2014: it is releasing new and updated free Office apps – which include Excel, Word, and PowerPoint – for iPad, iPhone, and Android users. That means you can now create and edit Office documents without an Office 365 subscription. The announcement comes on the heels of another bit of Microsoft news, a strategic partnership with Dropbox that integrates Dropbox and Office. It might sound too good to be true that Microsoft would make so much functionality free, but the company has said it’s an extension of an existing strategy to make its already-free online apps accessible to mobile clients. And while people using mobile devices will be able to access the Office apps for free, business users who work in OneDrive for Business or Dropbox for business will still need to pay for an Office 365 subscription. 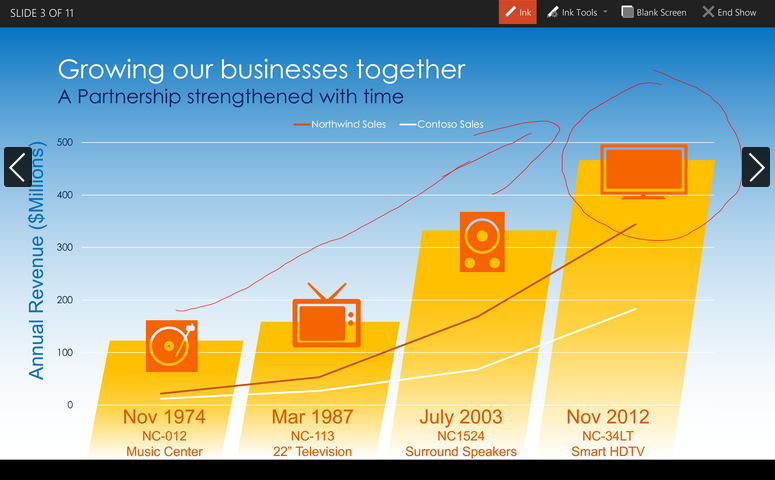 New Office for iPhone apps for Word, Excel and PowerPoint offer the same iPad experience, optimized for the iPhone. Updated Office for iPad apps for Word, Excel and PowerPoint . Preview of Office apps for Android tablet brings the productivity of Word, Excel and PowerPoint to Android tablet customers. Customers can sign up for the Preview. General availability is expected in early 2015. More of Office for everyone. Customers on iPhone, iPad and Android can now create and edit Office content without a subscription. Up until the November release of the new apps, Office for iOS users could view documents, share via attachments, copy and paste between documents, and present using PowerPoint. They can now create new documents and do some editing. So far, the changes have been met with praise. While the 2013 Office iPhone app got a lukewarm reception, reviewers have said the new Office for iPhone app is similar to the iPad app and offers easier editing options, a straightforward interface, and a special formula keyboard for Excel. The Android tablet version is reported to be very similar to the iPad app. You will still need a subscription to Office 365 to access features like unlimited OneDrive storage, advance editing, Excel pivot tables, PowerPoint presenter mode, and color and design customizations. For users who subscribed to Office 365 solely to do use core features that are now free, Microsoft has said it will offer a pro-rated Office 365 refund.